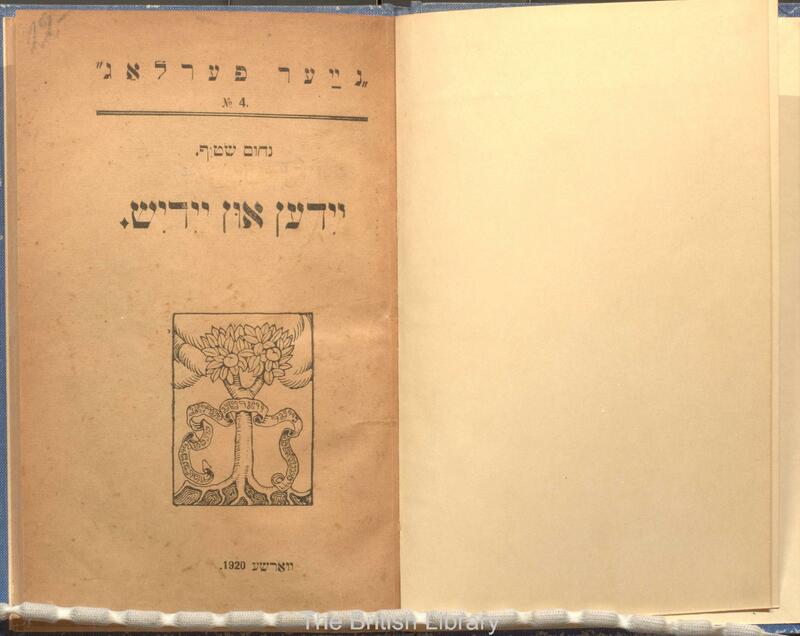 Biographical and bibliographical information about Yiddish writers can be elusive and hard to find—undocumented, untranslated, or locked away at university libraries and remote archives. 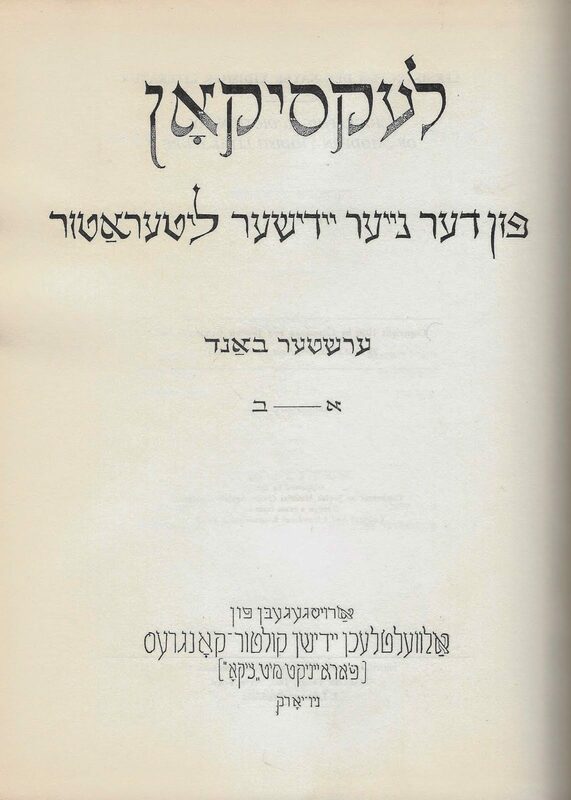 The most comprehensive resource on the topic, the Leksikon fun der nayer yidisher literatur (Biographical Dictionary of Modern Jewish Literature), which was published by the Congress for Jewish Culture in eight volumes between 1956 and 1981, has thousands of entries. Even so, it’s not complete, but it is nevertheless an overwhelming amount of information—though Josh Fogel doesn’t seem to think so. 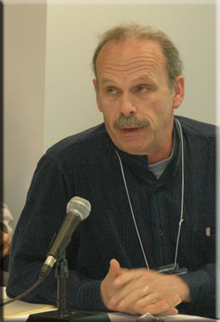 A professor of Chinese and Japanese history at York University in Toronto, Fogel has spent his free time for the past two years methodically and alphabetically translating entries from the Leksikon, then posting them for free online. Currently, there are 2,164 entries posted to yleksikon.blogspot.ca, and Fogel is only on Hirshbeyn. In geveb recently spoke to Fogel over email about history, accessibility, and what he’s learned so far. In geveb: How did you get the idea to translate the entire Leksikon fun der nayer yidisher literatur? Josh Fogel: The eight volumes in dour maroon have been sitting on my shelf for several years. I frequently pick up a volume at random and browse through it, and invariably come across someone who had an utterly fascinating career and of whom I have never heard. It dawned on me at some point that many people, especially younger folks, who didn’t have Yiddish might benefit from these biographies. I also realized that this is not the sort of thing that necessarily warrants paper publication—which would certainly be prohibitively expensive. Posting them online enables anyone with an internet connection to gain access. But, they have to know about the website. How do you hope people will use your translations? The translated Leksikon will introduce roughly 7,000 people, their activities, their writings, and their fates to far more people than would hardcover volumes written in Yiddish and usually tucked away in a library reference room (usually a major-league university library, too). Only the tiniest fraction of the entries are well-known people, and scholars and others who do know a larger number of the names will probably also be able to read them in Yiddish. So far, in the comments section of the web entries, several people have discovered information hitherto unknown to them about their grandparents or other relatives. Perhaps, just perhaps, some young, budding scholars might be inspired to study Yiddish and enter the field. What are some of your favorite entries so far, and why? There are many. One I especially liked, probably because it is so counterintuitive, is Urke Nachanik, a professional criminal who was discovered in prison, wrote his memoirs, and who ultimately tried to organize an uprising against the Nazis and paid for it with his life.There are many more. One thing—and it should have been obvious—that is thrown into stark relief, as I have done nearly 1500 of these so far, is that so many of the best and brightest Yiddish writers died in their twenties, thirties, forties at the hands of the Nazis. Not exactly a surprise, but it makes me that much more thankful for places like the United States, Israel, Canada, Argentina, and other places that accepted Jewish refugees on a much smaller scale. What have been the biggest challenges in the project so far? Many of these people whose stories are told in the Leksikon were multilingual. Some of the languages other than Yiddish I can handle, but not all of them. I’m not as well trained in Hebrew as in Yiddish, so many of the Hebrew titles are difficult to decipher, and that’s where countless dictionaries and friends come in. I can handle Russian and Western European languages, but Polish titles (especially when transcribed in the Jewish alphabet) are a challenge, though I have been able (often with help from a friend) to deal with them. Acronyms are often difficult as well. There is a list of them at the beginning of each volume of the Leksikon, but there are many more in the entries, and the Hebrew ones are quite a challenge. The only other challenge is that I am a professor of Chinese and Japanese history, so this is not exactly in my field. Stretching is good. Urke Nakhalnik, who began writing while in prison and became famous in both Polish and Yiddish while still incarcerated, led a solo effort to sabotage trains on the way to Treblinka. Ester Frumkin, a proletarian Yiddishist who called for Yiddish to be declared the national language of the Jews, and worked to Bolshevize the Bund. Avrom Goldfaden, before he began his theatrical career, was a watchmaker who moved from Russia to Romania to escape conscription, and who by age ten could recite whole chapters of the Torah aloud. Cohen, Madeleine, and Diana Clarke. “"Eight Volumes in Dour Maroon": Josh Fogel on Translating the Leksikon.” In geveb, April 2016: https://ingeveb.org/blog/eight-volumes-in-dour-maroon-josh-fogel-on-translating-the-leksikon. Cohen, Madeleine, and Diana Clarke. “"Eight Volumes in Dour Maroon": Josh Fogel on Translating the Leksikon.” In geveb (April 2016): Accessed Apr 21, 2019. Madeleine Cohen received her PhD in Comparative Literature with a designated emphasis in Jewish Studies from the University of California, Berkeley. She is the Director of Translation and Collections Initiatives at the Yiddish Book Center and In geveb's Senior Editor. 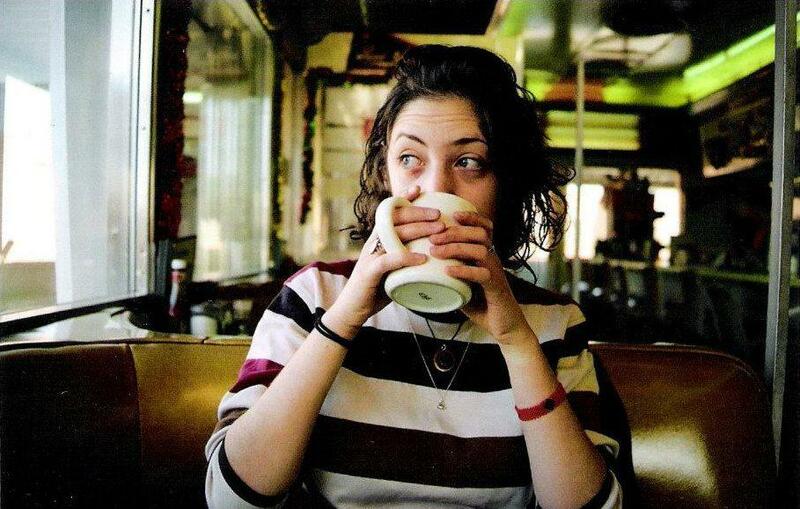 Diana Clarke is a former managing editor at In geveb, and a doctoral student in the History Department at the University of Pittsburgh. They research the intersections of Jewish racialization, trauma, and whiteness in rural America, and are especially interested in discourses of assimilation related to sexuality and gender. 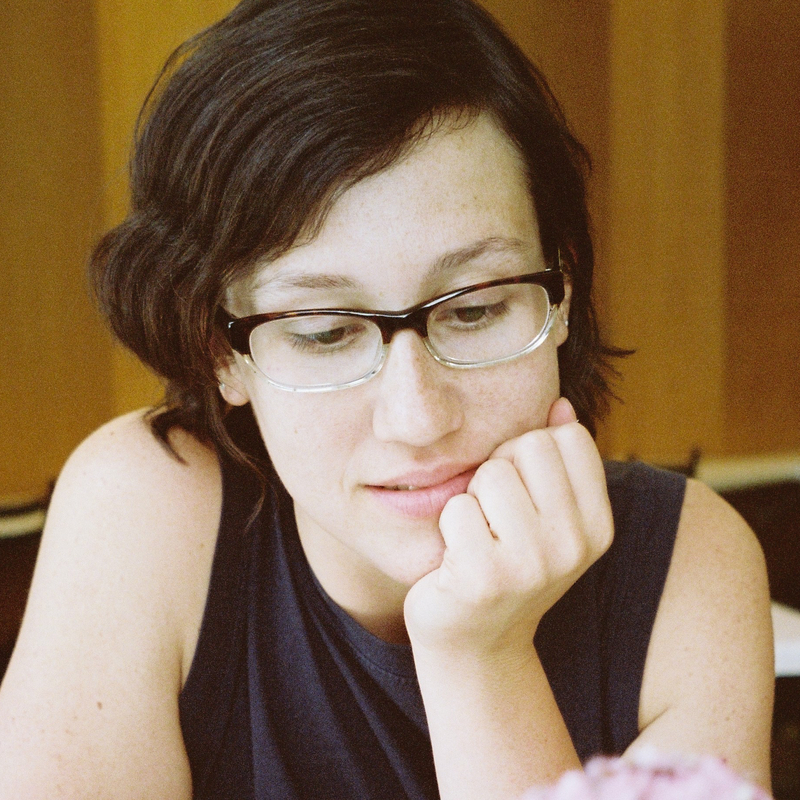 Diana is also a 2018 Translation Fellow at the Yiddish Book Center, and their writing and translation has appeared in the Village Voice, Dissent, the Los Angeles Review of Books, and World Literature Today . 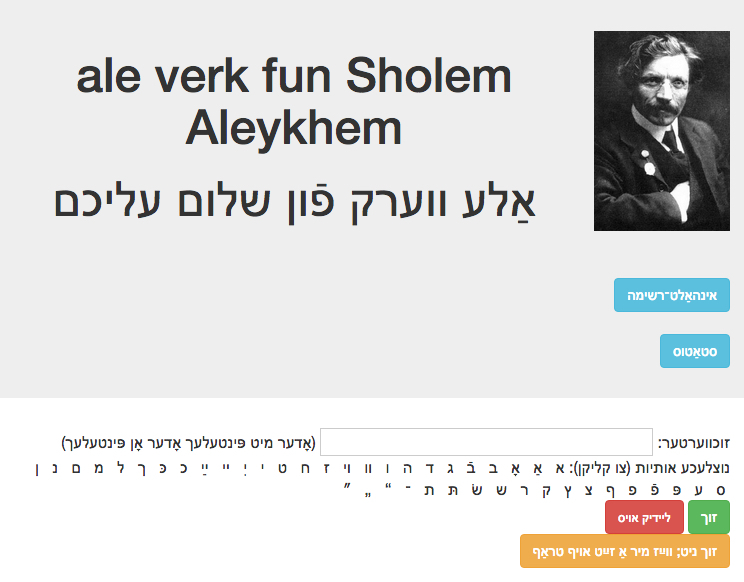 Refoyl Finkel talks to In geveb about making digitized Yiddish texts searchable.